A talented physician (Jordana Spiro) must juggle her hospital job with her service to the mob — not unlike FOX having to keep juggling a lot of TV shows. Will The Mob Doctor attract ratings good enough to keep the series from being cancelled? We shall see. The rest of the cast of this freshman drama includes Floriana Lima, Zach Gilford, Željko Ivanek, Wendy Makkena, Jesse Lee Soffer, William Forsythe, and James Carpinello. The first season of The Mob Doctor typically airs Monday nights at 8pm on FOX. There are 13 episodes. Below are the TV show’s ratings for the 2012-13 season, the best way to tell if The Mob Doctor is going to be cancelled or renewed for a second season. Final series averages: 0.9 rating in the 18-49 demographic with 3.26 million total viewers. 0.9 in the demo (+50% change) with 3.27 million (+51% change). Season averages: 0.90 in the demo with 3.26 million. 0.6 in the demo (+50% change) with 2.17 million (-9% change). 0.4 in the demo (-20% change) with 2.38 million (+13% change). Season averages: 0.93 in the demo with 3.36 million. 0.5 in the demo (-38% change) with 2.10 million (-36% change). Season averages: 0.98 in the demo with 3.46 million. 0.8 in the demo (-27% change) with 3.26 million (-17% change). Season averages: 1.03 in the demo with 3.26 million. UPDATE: FOX will finish airing the 13 episodes in late December and early January. They haven’t ordered any more, essentially cancelling the series. 1.1 in the demo (+22% change) with 3.93 million (+28% change). Season averages: 1.06 in the demo with 3.65 million. 0.9 in the demo (+13% change) with 3.08 million (+2% change). Season averages: 1.06 in the demo with 3.61 million. 0.8 in the demo (-20% change) with 3.01 million (-12% change). Season averages: 1.08 in the demo with 3.70 million. 1.0 in the demo (+11% change) with 3.40 million (+1% change). Season averages: 1.14 in the demo with 3.84 million. 0.9 in the demo (-10% change) with 3.36 million (-3% change). Season averages: 1.18 in the demo with 3.95 million. 1.0 in the demo (-23% change) with 3.46 million (-10% change). Season averages: 1.27 in the demo with 4.14 million. 1.3 in the demo (-13% change) with 3.85 million (-25% change). Season averages: 1.40 in the demo with 4.48 million. 1.5 rating in the 18-49 demographic with 5.11 million total viewers. Season average: 1.50 in the demo with 5.11 million. What do you think? 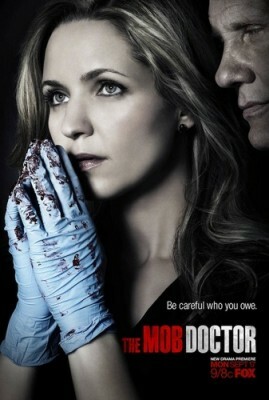 Do you like The Mob Doctor TV series? Do you think it should be cancelled or renewed for a second season? The Mob Doctor: Cancelled Yet? The Mob Doctor: New Casting; Will You See the Episodes Before the Show is Cancelled? The Mob Doctor: First New Show to be Cancelled? I miss mob doctor! I don’t care what the critics say. The show was unique and modern and had me entranced every episode . It was well written, racy, lots of action, and even a little love story. That was my number one show to record so I could watch after work. BIG MISTAKE. They should have given another season for people to catch on I didn’t know about it until 2nd season and then I was ADDICTED!!! PLEASE BRING BACK!!!! Who would cancel a show that just had a peoples choice nomination?